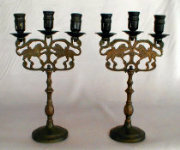 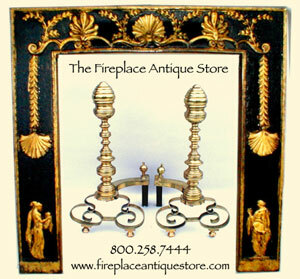 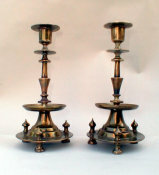 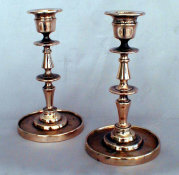 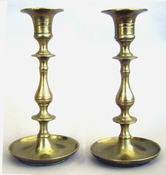 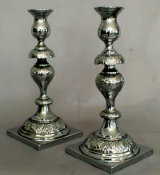 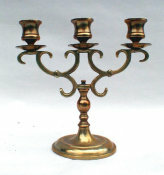 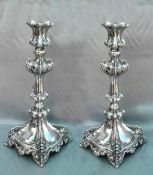 Magnificent 3 Light Sabbath Candelabrum standing 21.75" tall. 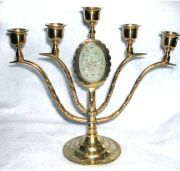 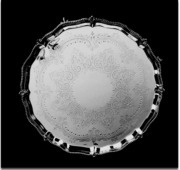 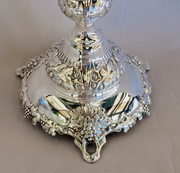 Made by famous maker Fraget in Warsaw, Poland, c. 1860-1872. 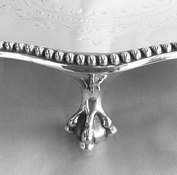 Fully marked. 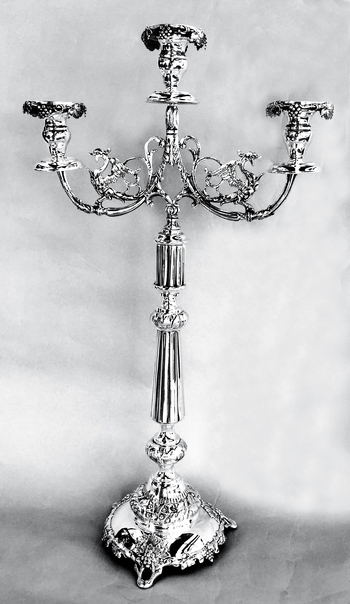 Abundant and lavish grapevine decoration, alternating grape clusters and grape leaves on vines surround and drape over the three bobeche and decorate the wide domed base. 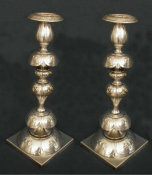 Tapered ribbed stem decorated by large floral knop. 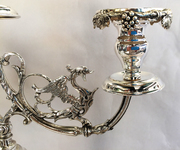 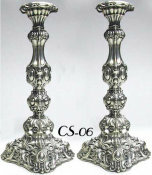 The candelabrum arms are fully decorated with beautiful and fanciful Herons - perched facing the side candle cups. 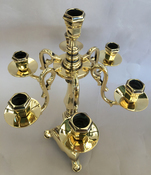 Complete with drip pans. 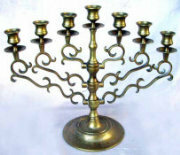 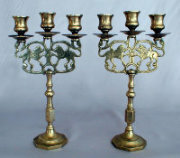 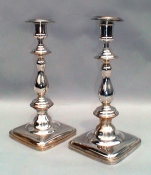 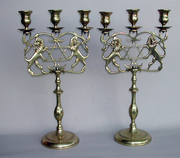 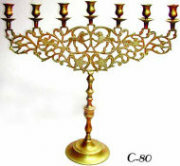 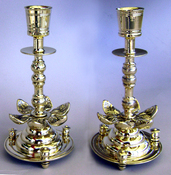 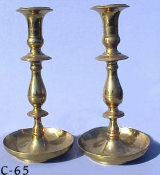 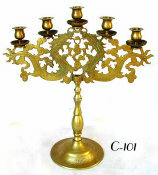 The grapevine motif was favored for Sabbath use by Jews living in Poland, Lithuania, and Central Europe, as it represented not only the lighting of the candles, but the Kiddush blessing. 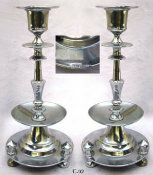 An exceptional and beautiful addition to your Sabbath table. 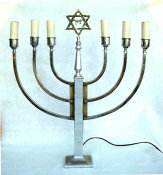 Dimensions: HT: 21.75", W: 12"